In their first book, Walking Distance: Extraordinary Hikes for Ordinary People, Bob and Martha Manning describe walking as “simple, but profound." Nearly everyone can walk, but the benefits of walking are myriad: it can stimulate the intellect, contribute to conservation and sustainability, deepen our understanding and appreciation of the world, be a means to explore spirituality, be a form of political expression, slow our often frantic world, and make us healthier and happier in the process. 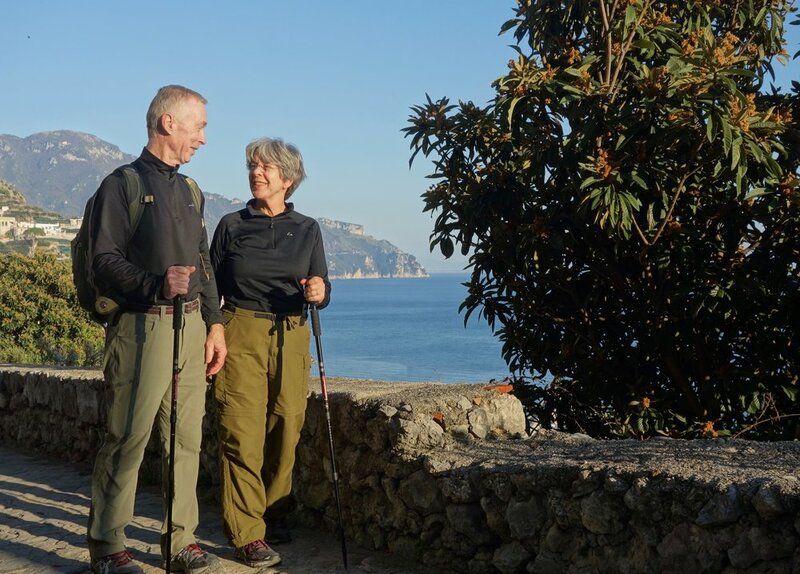 In their second book, Walks of Lifetime: Extraordinary Hikes from Around the World, Bob and Martha continue to encourage readers to walk more in their everyday lives and to try long-distance and multi-day walks. They emphasize the accessibility of walking the world’s great natural and cultural landscapes; the trails they walk are well-marked and managed and can be walked by ordinary people. The book features first-hand descriptions of 30 long-distance and multi-day walks from around the world. Walk the iconic coastlines of Italy, Hawaii, Maine, California, Wales, Australia, and New Zealand; hike the great mountain ranges of North America, including the Sierra Nevadas, Rockies, Alaska Range, and Appalachians; walk with pilgrims along the Camino Portugues and Japan’s Kumano Kodo; walk the great cities of the world, including New York, San Francisco, Paris, London, and Sydney; walk through the wilderness of Colorado, Wyoming, Alaska, and Utah; walk along the rim of the Grand Canyon and atop the Great Wall of China; and much more. Like their first book, Walks of a Lifetime is a beautiful and inspiring book. The Mannings include helpful and engaging descriptions of the dozens of long-distance walks they've taken, and the book is richly illustrated with their own color photographs. The trails they describe range from inn-to-inn routes to backpacking treks. This new book also offers a series of 30 short, thought-provoking essays on an array of walking-related topics, including tips on how to prepare for walking, the ethics of walking, the history and philosophy of walking, pilgrimages, journey versus destination, trail angels, the many benefits of walking, and much more. Keynote Speakers at the International Trails Symposium and the Walkabout International Conference. 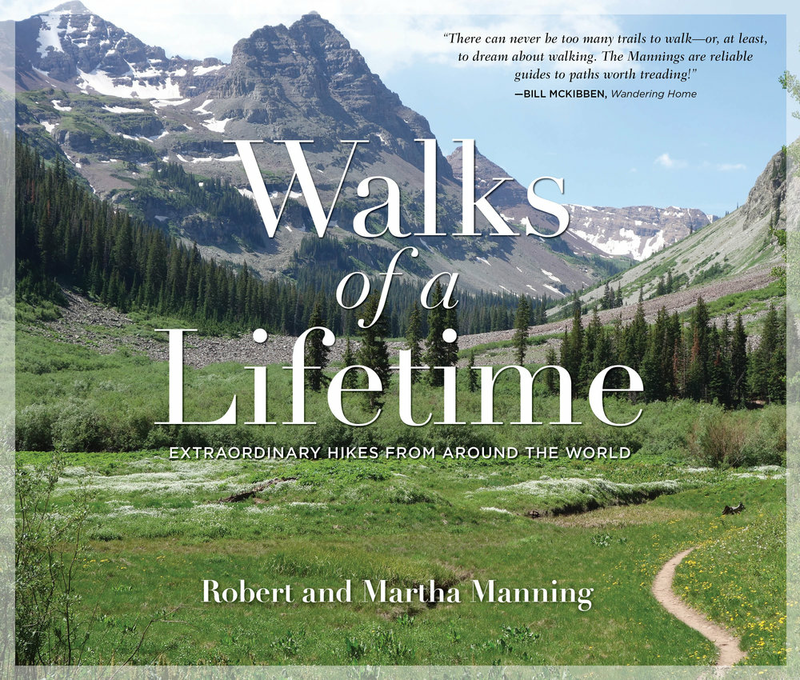 In Walks of a Lifetime, the Mannings explain why walking the great landscapes of the world is the most sustainable form of recreation. All of us have talked about walking the world’s great trails; in this book, the Mannings show us how to “walk the talk”. Walks of a Lifetime should inspire everyone to explore long-distance trails – including several in and around our great cities – and become advocates for conservation in the process. The Mannings have walked dozens of long-distance trails; join them as they wander and wonder through the great cultural landscapes of the world. There can never be too many trails to walk – or, at least, to dream about walking. The Mannings are reliable guides to paths worth treading. Walks of a Lifetime is a beautiful and inspiring guide to many of the world’s great long-distance and multi-day hikes. We owe the Mannings a debt of gratitude.